A report on the growing Islamic State (IS) menace in Mindanao has shone a light on how militants use social media to recruit young Muslims to their cause. As we reported yesterday, the Jakarta-based Institute for Policy Analysis of Conflict (IPAC) released a report entitled Marawi, the ‘East Asia Wilayah’ and Indonesia that detailed how the ongoing crisis in Marawi was inspiring growing support for IS. It also argued that damage to the city caused by aerial bombardment was already being used as a recruitment tool, and that the government would have to take great care not to incite further resentment. Within the pages of this report are transcripts of social media posts revealing the propaganda battle being waged alongside the fighting on the streets of the city. Non-Filipino: Have they taken the city Marawi? Non-Filipino: Is that confirmed via Amaaq? Non-Filipino: How big is the city? Like big as the city of Kirkuk? Maute fighter: Not so big. We burned the school created by the americans. Non-Filipino: Isnt those old photos from yesterday? Maute fighter: Update #ISRANAO #PHILIPPINES Assalamualaikum our brothers in the front line are busy fighting the taghut and murtadeen in Marawi City. As of 6am Manila time, 11 taghut soldiers are wounded. 3 of them died. 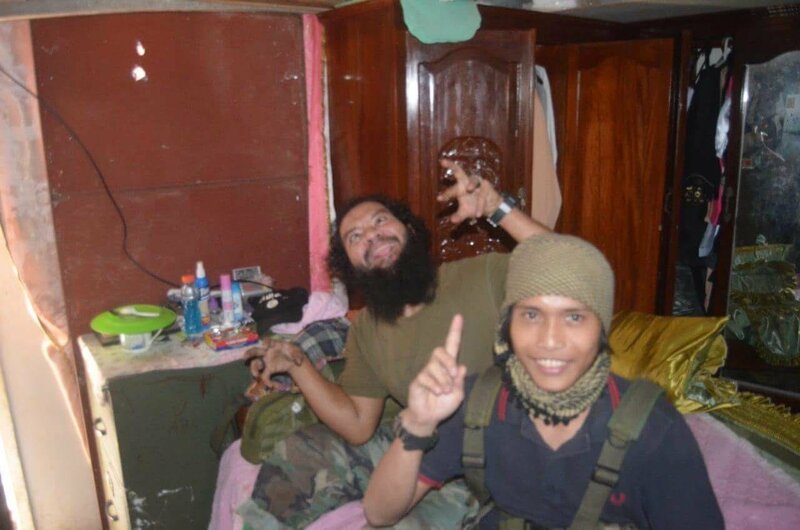 Maute fighter: DAWLATUL ISLAM !!!!!! Speaker 3: Khilafah troops patrolling on streets of marawi city..philippines! Maute fighter: We are now in the heart of the islamic city of Marawi. Non-Filipino: What happen to the army? They run? Maute fighter: They run like pigs with their filthy blood mix with the dead bodies of their comrades. Speaker 3: He will report soon inshallah. Maute fighter: We occupied the western part of the city. We burned the american established school named Dansalan College midnight around 9pm. Speaker 4: Alhamdulillah…go on, brothers mujahidin. Allah with you all. Any other asean countries join Philippines Crusaders to fight against IS? Eventually, Amaq, IS’s propaganda news outlet, announced that IS had attacked Marawi, and since then, a steady stream of conversations were recorded on social media from and about the siege. At one point, a message was posted, presumably from IS high command, warning supporters to be careful about how they referred to the terrorists. It read: “We advice [sic] our beloved brothers who sacrifice their time and support their State. Don’t use “maute” “abu sayyaf ” or any group name that pledge allegiance to Amerul Mu’mineen Abi bakr al-baghdadi(hafidhahullah). Instead call them, soldiers of the State (Junudul Khilafah), IS fighter, IS of east asia. The report said: “Through the Telegram groups, Filipino jihadis were creating an international constituency, with their reports from the field translated instantly into English, Tagalog, Arabic, Turkish, German and Indonesian. The report concluded that the longer the Marawi uprising continued, and word of the militants’ resilience continued to spread on social media, the more young Filipino Muslims were likely to be radicalised. 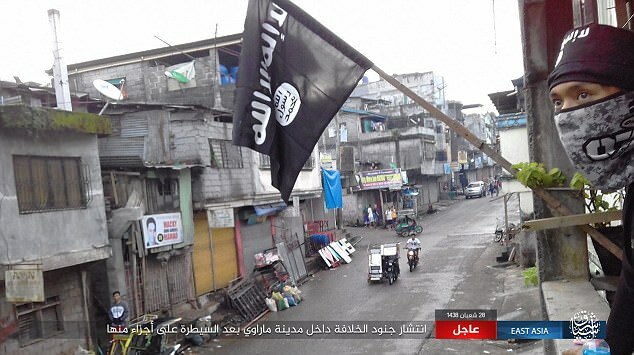 “As with other IS-inspired or directed operations, one of the immediate imperatives of the IS coalition was to document and post its triumphal takeover of Marawi on IS media,” it said. “Part of the appeal of ISIS has been its utopian vision of a pure state where justice, equality and prosperity would prevail.